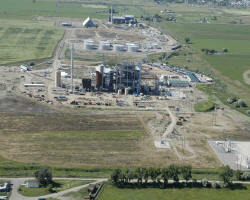 Hardin, Montana has a fully serviced 800 acre industrial park located on the north end of the city. This 800 acre park is serviced by rail, Interstate 90 and within 30 miles of Interstate 94. The park land is level and easily accessible. The industrial park has also been subject to a planning process that encourages certain types of industry in different areas of the park to maximize business satisfaction. Business incentives are available primarily for value-adding industries. Current tenants in the park are energy related industry. Employers want to hire applicants who have experience. If you are an applicant with no experience, you have a problem. You need experience to get a job, but you need a job to get experience. Philosophers call this the “chicken and egg” dilemma. It's a problem that Greg Smith, economic development director for the city of Hardin, is well acquainted with. He calls it the core problem of economic development. Take a town that wants to revitalize its main street, for example. This requires a substantial investment, but its one that the downtown businesses can't make, because few people go there to shop. Surveys indicate that shoppers would go downtown though, if only it had more places to shop. Ouch. This is the nature of the economic development beast, and this kind of problem is also at work in the effort to develop the Hardin Industrial Park north of the town. 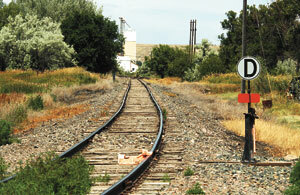 Interstate Engineering has just completed a feasibility study that estimates the cost of rehabilitating or replacing the rail spur that serves the industrial park. The Two Rivers Authority (TRA) wants an improved rail line to serve the park. The Hardin Generating plant could have coal delivered by rail, the CHS asphalt plant could get raw materials, and a proposed coal-to-liquids plant could also use an improved rail line, according to the study. The investment in rail infrastructure might bring other industry to the park. The plan to improve the spur has three possible phases. Phase one involves rehabilitating the existing track, which would cost $6.2 million. In phase two, a second, parallel track would be added. This double track would be necessary before a coal-to-liquids plant could go in at the park because of the additional volume of traffic it would generate. The study estimates a total cost of $4 million for phase two. The third phase of the project would connect the rail spur to the main line of the Burlington Northern-owned railroad. This would cost an estimated $1.4 million. The chicken and egg problem here goes something like this: Businesses don't want to move into the industrial park because the required infrastructure doesn't exist. But building the required infrastructure isn't feasible because the businesses aren't there to pay for using the infrastructure. Another option would be for Burlington Northern to pay for the reconstruction, but that wouldn't be in the best interests of the city, according to Smith, because Burlington Northern would be collecting the track's usage fees instead of the city. Nor is BN itching to make that kind of investment. George Pacocha, who handles coal-related economic development issues for BN, said, “Our capital is scarce enough that we're not going to place a bet on whether businesses will go in there.” He said that BN needed to focus on maintaining its main lines at a time when capital was scarce. “We'll take care of the main line, and we're leaving it up to developers to do the development,” Pacocha said. Even if the rail spur were improved, it is not clear whether the businesses currently in the industrial park would utilize it. The CHS asphalt plant used to move its product by rail, but according to one employee, no longer does because BN infrequently picks up their rail cars. “We used to, but we couldn't satisfy our customers using the rail,” said the employee, who wanted to remain anonymous, citing fear of retribution. With Burlington Northern not willing to invest and the city mired in debt over the empty detention center, it's not clear where the money will come from to start the rail improvement. Smith thinks that there will have to be at least one new business that will “anchor” the industrial park and get development going. If Smith can't find that business, or can't get stimulus money, the TRA won't have solved this particular chicken and egg problem. But even if it is solved, there will always be another one. “I haven't been to a meeting yet where we haven't talked about the chicken or the egg,” said Smith. The current railroad spur into the industrial park starts at the main railroad line just east of town on 3rd Street. This is looking north from where the spur crosses 3rd Street.